Cornwall U17s competed in their third match of the 2008/9 season at Tregorrick Park St Austell today against Dorset. Making their U17 debuts were Eve,Charlotte and Josh. County colours were awarded to Trevelyan,James,Daphne and Bethany before the start of play,having represented Cornwall U17s on 3 occasions. In the singles Ross got off to a flying start and defeated Matt Bradley in the number one slot.Matt having previously won against Ross in the Devon Bronze on his way to taking the gold medal.A great win by Ross. Patrick had 3 hard ends but missed out. Josh and TJ also missed out in two ends.Huw played a great 3 ender losing to 17 in the 3rd end. In the girls Bronwen had a comfortable win in two ends. All the girls thereafter performed outstandingly.Lorna missing out in 3 nail biting 3 ends. Sofia losing narrowly 22-20 first end and narrowly to 17 second end. Beth had 3 great ends of badminton going down to 18 in the third.Eve played with great determination losing narrowly in 3. Daphne chalked up her first win at this level with a fine win at number 5. Score Cornwall 3 Dorset 9. In the doubles Ross and Patrick took 2 from 3 matches and Phil and Huw one match.Unfortunately TJ had to pull out after a nail biting 3 ender and Josh replaced him with James for the remaining two doubles. The girls again fought to the wire,Bronwen and Lorna winning all 3 matches in two straight ends. Sofia and Beth won their first doubles of the season and lost another in 3. The new pairing of Charlottle and Daphne was inspirational to the team ,the girls fighting every point and holding a match point in their first match before losing 23-21 third end.Their other two games were very close,giving their all on every point.A great effort. In the mixed Ross and Bron had a comfortable win in two ends. James and Lorna continue to excel at number two,winning in two ends a confident win. At this point Cornwall had to concede the third mixed due to illness to Patrick. Phil and Sofia had a straight sets win at number 4 and Josh and Eve won at no 6. Huw and Charlottle fought hard but narrowly missed out at number 5. Final score Cornwall 14 Dorset 22. The game was played in a great atmosphere with sportsmanship on both sides very prominent throughout the match. Dorset ran out deserving winners but Cornwall take many positives into the new year with developing partnerships in the girls doubles and strong performances from 1-6 in their singles. Special mention to Ross for a great singles win, and Charlotte playing up from the U15s.Her commitment,attitude and desire simply inspirational. These performances will make ICT selection in late January a hard decision . Both Penryn Saracens and Mounts Bay Junior Badminton club competed in their first match of the season at Penwith College on Thursday evening 11th December. Penryn Saracens having been developing their badminton in the newly built six court badminton hall at Penryn College since September. 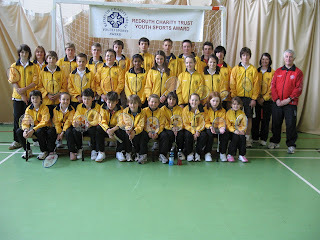 They travelled to Penzance with a team of 16 players ranging from 15 years to primary school age. Players were wearing the Penryn College colours with children from the College,Mabe and Penryn Primary schools. Mounts Bay have been in existence for some 12 months with an initial financial input from the a Local Network fund. The club has since received financial support from Penwith District Council and act as a feeder club for promising players from Pensans Community Primary School. The club is now an established fixture every Thursday evening ( 4.30-6.30pm) at Penwith College Sports Hall. The match format consisted of half court singles with players seeded in a group of 4,followed by doubles again with pairs in groups of 4. Play was continuous for over two hours with all matches keenly contested. Both clubs having a strong contingent of Cornwall Youth Badminton players in the U15 and U13 Teams. After an interval at the conclusion of the singles matches,Mounts Bay held a lead of some 200 points.However as the doubles progressed it was clear that Penryn were clawing back the deficit. The last game was loudly cheered by both teams with great sportsmanship shown throughout by all players. A challenge match shield was presented to Lee Chapple Mounts Bay Captain. Ben Cooper Penryn Captain led the applause for a great evenings badminton. . Both Teams now look forward to their respective Christmas Tournaments. Penryn will hold their Tournament on Monday 15th December with over 50 players competing. Mounts Bay will hold their tournament on Thursday 18th December with over 35 players competing for annual trophies. Both Clubs will be sponsored by TAG Sports on the evening with a £30 voucher being presented to the most committed player selected by the clubs coaches since the start of the 2008/9 season.The deserving player will be able to purchase a YONEX badminton shirt of their choice. 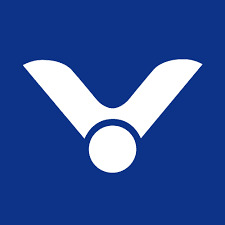 TAG Sports will also be offering the full range of YONEX badminton equipment at very competitive rates at their stall on Monday evening at Penryn College. Phil and Maria Chapple-Mounts Bay. Cath Bick and Liz Laity Mounts Bay. Dave Spencer and Mark Whitbread Jordan Penryn Saracens. All the above managed the scoring and coaching of their respective players and commented on the great attitude and commitment by all players throughout the match. Penryn look forward to a return match on home territory in March. The second match of the season for our U13's was an away match against Somerset held on Sunday 9th November at Taunton - always predicted to be a close encounter neither side was to be disappointed. After both the boys and the girls singles the score was equally placed at 7 -5 to Somerset. There were great victories for Ben, Adith, Ellis, Will and Georgia - commiserations to Toby and Vinodh for so narrowly missing out on their tough games. The doubles also resulted in some very close games with two fantastic three-ender victories for Ellis/Will and Francesca/Sophie. At this stage of the match Somerset were still ahead at 17 - 13. At the beginning of the mixed Cornwall needed to win all six of the games - with lots of determination and a desire to secure the match all the observers were treated to some VERY exciting badminton. Cornwall did win three of the mixed - congratulations to Ben/Alice, Ellis/Olivia and Will/Kendall - but we lost the other matches with two of them going to three VERY close ends!! After a great day's badminton the overall score was 20 - 16 to Somerset. Cornwall so narrowly missed their second victory of the season with FIVE closely fought three-enders just slipping away from us! However, BOTH teams performed extremely well and Peter Fairey of the Someret Team commented on the day, "There have been some brilliant games played in a brilliant spirit by all players on the both sides" - a comment echoed by Paul Johnson and Alison Higgs, managers of our own U13 Team. Congratulations to ALL players and a special mention to Will Powell who earned a well-deserved Player of the Match Certificate and also to Olivia and Kendall who received their first county Caps. 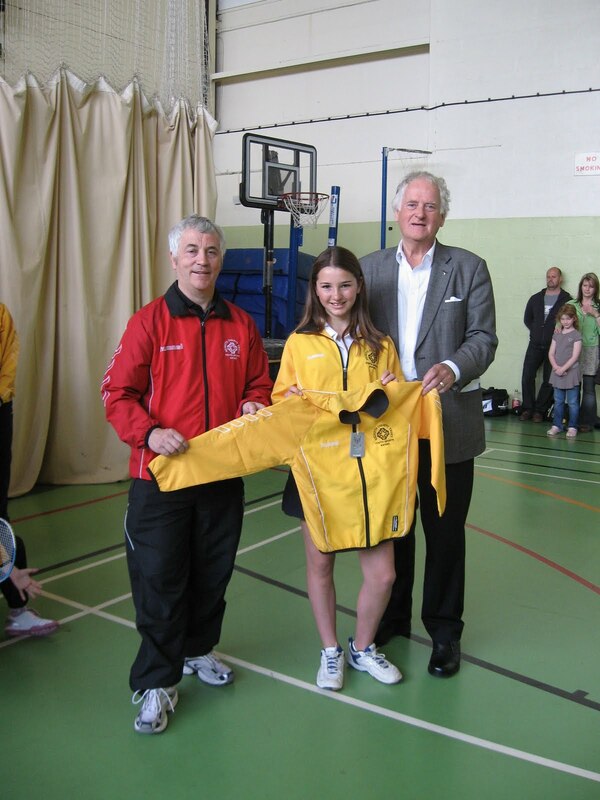 CORNWALL College Sports Hall, Pool, Near Redruth, the home of the First Edition Junior Badminton Club, was the scene of an exciting donation of new track-suits on Saturday Morning May 10, writes John Tresidder, with Paul Martin. This was made possible by a generous gift of £1,100, from Redruth Charity Trust Youth Sports Award, whose Chairman Mr Chris Hailey, attended to witness the official presentation. For the Club, which is one of the strongest and most buoyant in the County - with many very talented youngsters in its ranks - it was an unprecedented occasion of support, which, thus, allows the youngsters, in the future to display an identity to match their undoubted skills. 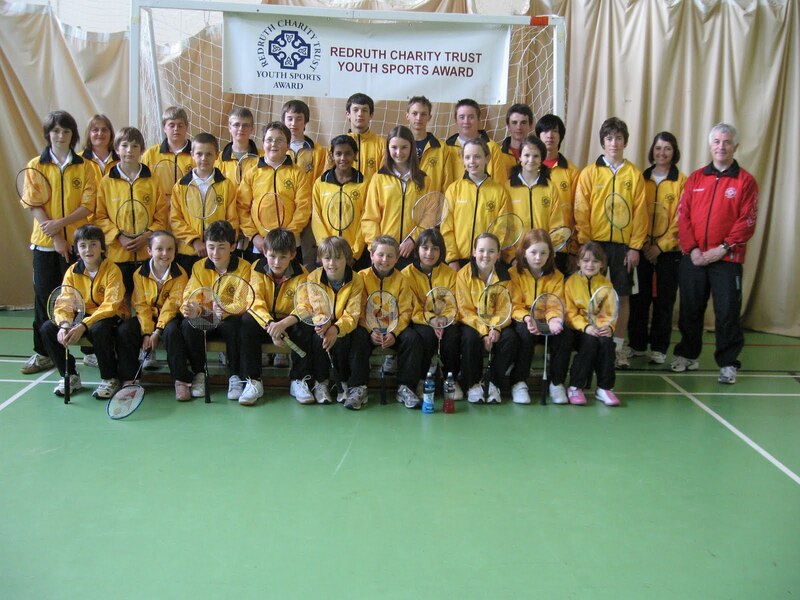 And, without the help from the Redruth Charity Trust, this could not have come about. 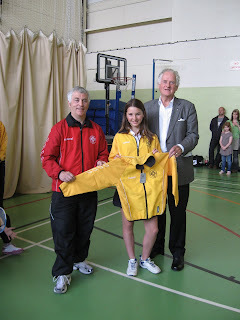 One of the previous donors to the Trust, Mr David Pascoe, the Group Chairman of the Penventon Park Hotel, Redruth, together with Mr Hailey, made the official hand-over to young Imogen Powell, a Truro School student, already a multiple County champion at the age 13. All the recipients, who will wear the tracks suits with pride, are deeply indebted to the Trust for its generosity in making this happen. Meanwhile, on Saturday May 17, fifteen players from the Penryn Saracens Junior Badminton Club travelled to Cornwall College, Pool. to experience their first ever competitive badminton match. This event was a prelude to a new West Cornwall Junior League, getting underway in September for the 2008/2009 season. The majority of the Penryn Saracens Team have only been playing badminton since January, of this year and turn out at Penryn College on Monday evenings, from 5.30 - 7.00pm. There was fourteen youngsters per team, seven aged Under-12 and seven Under-10. The match consisted of an hour and a half of “Half-court” singles, with strong support from parents of both teams in attendance. First Edition Juniors 1,117 points. The match trophy was presented to Ellie Watkinson, the youngest player in the match by Mr Alan Williams Life President of Cornwall Youth Badminton and Chairman of First Edition Juniors. There followed a friendly match with the more senior First Edition players, playing alongside the Penryn Team. 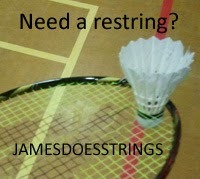 Penryn Saracens Badminton Club: Ros. Bastian, Penryn College’s Asst. Headteacher for Community, tel: (01326) - 372 379, ext. 252. Any Junior Team wishing to be included in the new West Cornwall Junior League, contact; Jon Wotton, Tel: (01736) - 850 045. The First Edition Junior Club wishes to thank all the helpers on the day – including Lucy Stocker and Sue Cooper, together with the support of Paul Martin and Alan Williams. Please note: For WCBL divisions, the rubbers won column will determine the placings.